2008 Toyota FJ Cruiser 4X4- Local 2 Owner New Car Trade with Clean Carfax Report and Documented Service History. 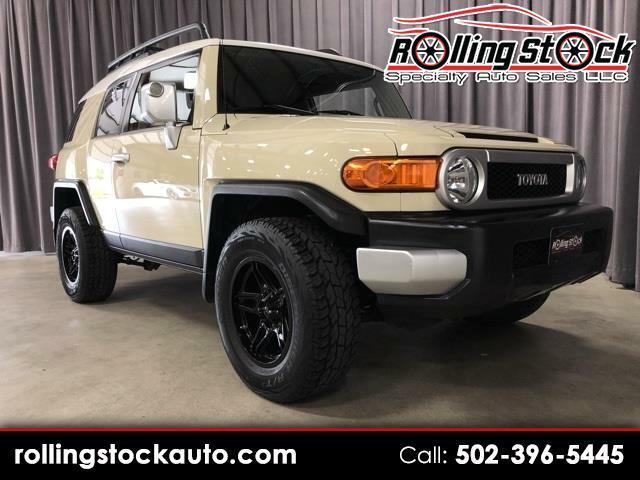 All Service Up To Date Including Brand New Black Diamond Wheels and Tires...Finished In Hard to Find Sandstorm and One Look You Will See This Legendary FJ Has Been Well Cared For and They Are Only Going Up In Value!!! Contact Cary Donovan 502-396-5445 to Schedule Your Personalized Appointment To See This Awesome FJ on Display at My Louisville Indoor Showroom.